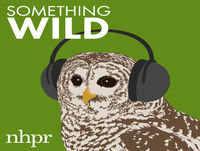 Something Wild: What Discoveries Await When Those Leaves Finally Fall? Something Wild: What's Going On with Bats and White Nose Syndrome? Something Wild: Are Golden Eagles Returning to the State?